Impressive acceleration and fuel economy with either engine. Strong crash test scores. Satisfying ride and handling balance. Capable and user-friendly electronics. If you are looking to purchase a reliable car for cheap, there is no better place than Used Cars NJ auto auction. 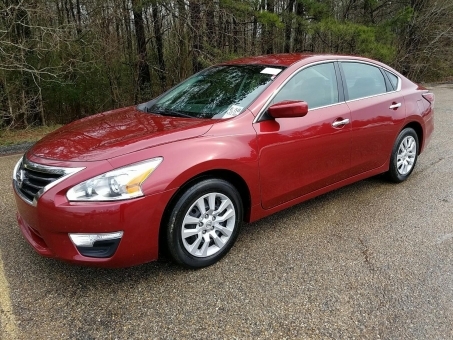 Our extensive inventory consists of only quality used cars. We guess that you wondered why car dealerships you visit can't just give you a good deal on the vehicle you want to purchase. We guarantee that here at Used Cars NJ, you get the exact same price as the owner's best friend. With us your next automobile purchase will be the best experience you have ever had. We have used car lots to suit your lifestyle and budget requirements. Find the car you always dreamed of and enjoy driving it every moment. With Used Cars NJ selling your car online is also possible. This will help you to get more money for your second hand cars. Moreover, you pay nothing for adding your car listings on our website. You can track your auto sales from your PC, tablet or mobile phone. Making the decision to purchase a pre-owned car is never an easy one. Used Cars NJ is your home for reliable used cars. Our inventory includes a wide variety of sedans, coupes, crossovers, hatchbacks, minivans, pickup trucks, SUVs, luxury cars, and sports cars for sale. If you are searching for the best price on a pre owned vehicle, look no further. Compare our used car prices to the competition. Not only will you fall in love with our car lots, but you'll discover an unforgettable used car buying experience. The perfect car or pick up truck is waiting for you at Used Cars NJ. When the time is right, we hope you’ll choose Used Cars NJ as your No 1 auto auction!